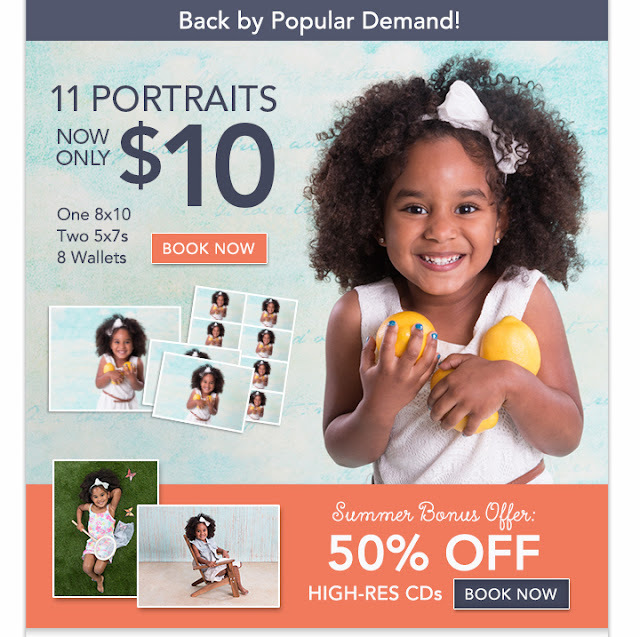 Picture People - 11 Portraits for Only $10 + 50% OFF CDs! Back by Popular Demand! Get 11 Portraits for Only $10 at the Picture People! Plus, get 50% OFF CDs! Offer consists of three (3) color portrait sheets of the same image (sheets include one 8x10, two 5x7s and eight wallets). HURRY! Offer Ends 7/10/2016!